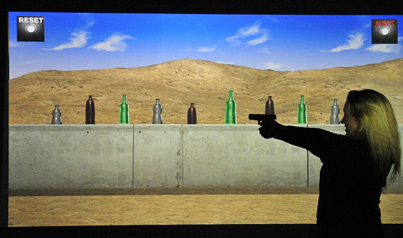 Simulation based training is achieved by putting yourself in real life simulated situations to become a better shooter. Our Ti Training Simulator has thousands of different training options from skill-building exercises to fun shoots and even competitions, like the Bianchi Cup. It is kid-friendly, with the option to exclude content containing violence or profanity. 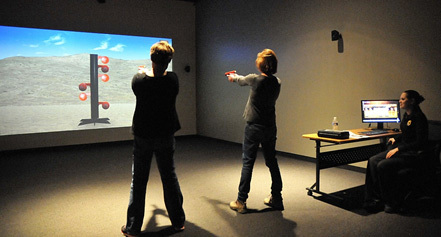 It is great for groups, or class training. Customers can compete against each other, or train individually. Training courses, taught by Elite Shooting Sports' certified instructor staff, are open for registration on our training page. 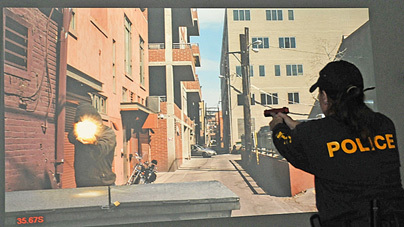 Great for Law Enforcement and self-defense applications with thousands of different decision-making and active shooter scenarios.